The lion said he was hungry, and his LA Galaxy debut turned into a feast that was nothing short of legendary. 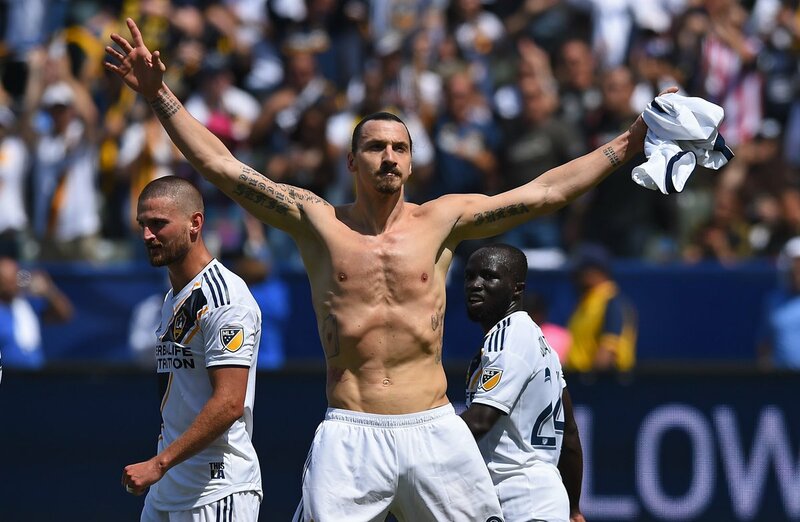 On Saturday afternoon, Zlatan Ibrahimovic scored twice in the final 15 minutes — including the game winner seconds into stoppage time — to complete a comeback for the ages and turn a 3-0 deficit into a 4-3 LA Galaxy win against crosstown rivals LAFC. But he also offered the Galaxy much more than two goals and three points in the standings. He gave the organization a heavy dose of early-season belief that it is back on the right track and will be a force to contend with in MLS this season. Ibrahimovic arrived in the U.S. on Thursday night and was able to train just once with his new teammates prior to Saturday’s match. His last competitive match for previous club Manchester United came back in December.